H. Elmgaard, Viborg. 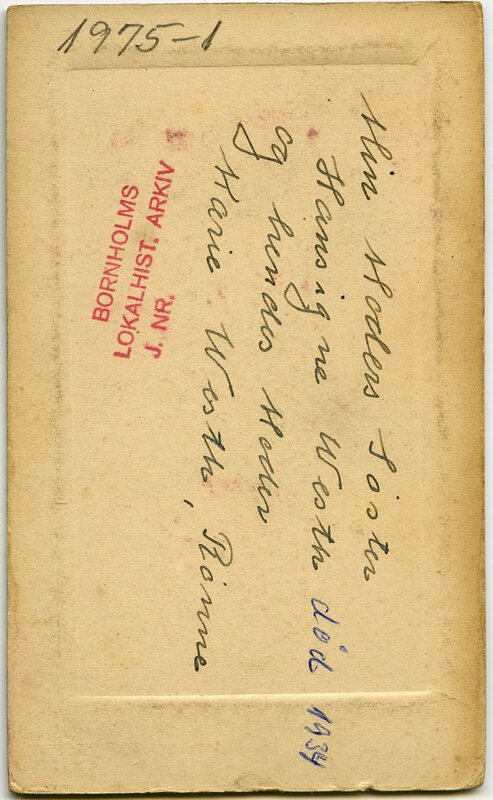 F. 1872 i Vejle amt. Emigreret til USA. Tog et seks måneders kursus på "The Photographic College" i Illinois. 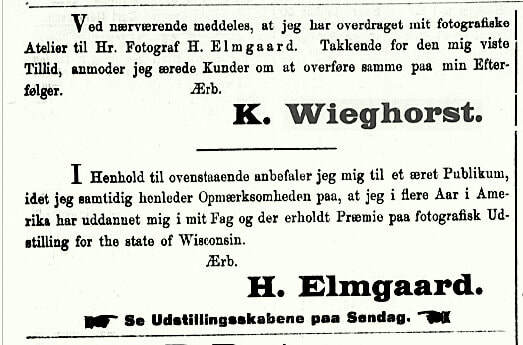 Medlem af den danske fotograf Forening i 1895 som Henry Elmgaard, Marchelltown, Iowa, USA. Etableret 1.5.1896 i USA. Overtog 1.3.1900 Karl Wieghorst's forretning i Viborg. Var aktiv som fotograf til ca. 1950! Udstillede i Horsens 1905. Wieghorst. HER. Viborg Stiftstidende 8. marts 1900, vedr. overtagelse af Wieghorst's atelier. Photo is by Henry Elmgaard, Norway, Mich. and is mounted on photo board. 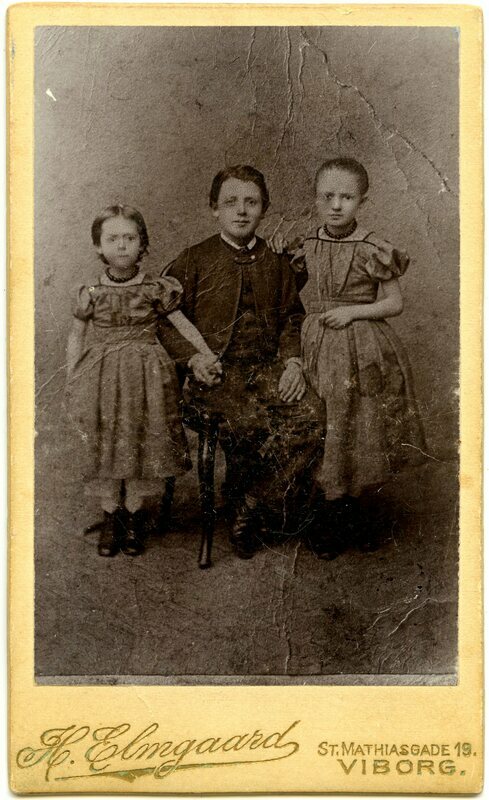 A sepia toned studio photograph of the O. D. Hutchinson family. 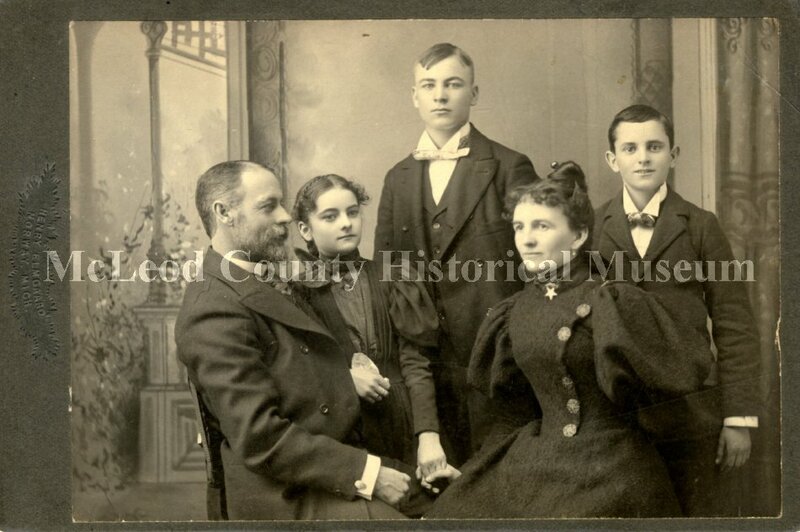 (l to r) Oliver Dennett Hutchinson, Elizabeth (Bess) Hutchinson, Fred Drew Hutchinson, Nellie Drew Hutchinson and Jesse Chace Hutchinson. O. D. is in profile and has a neatly trimmed beard. A large oval cuff link is visible at his right cuff. Bess is wearing a dark woolen dress with a high collar and a bow at the neck. 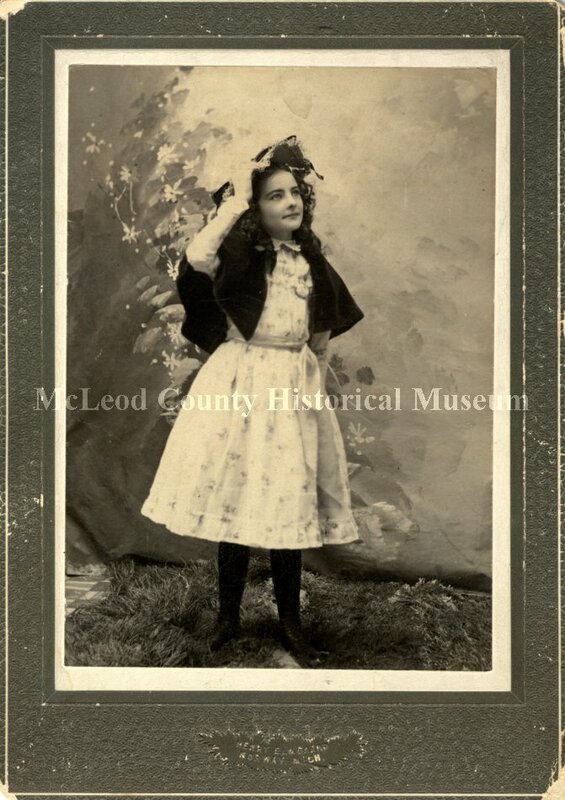 She is holding her mother's right hand with her left, her right hand is holding a handkerchief and there are rings on her second and third fingers. Fred has a vested suit with white bow tie and wing back collar. Nellie has a woolen dress with very large, puff sleeves. 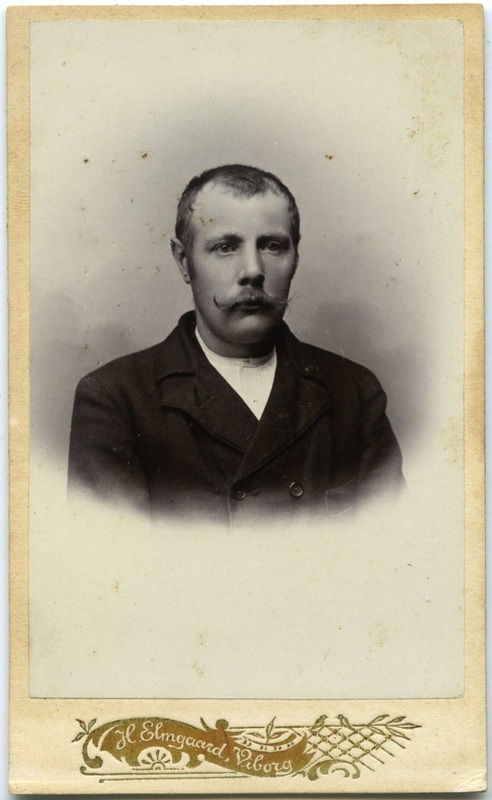 ELMGAARD, Henry (1896-1899, Norway): Purchased Bordewich’s photograph gallery on Nelson Street, Norway, Michigan, taking possession May 1, 1896; operated the Norway Art Gallery on Nelson Street, Norway, Michigan, between 1896-1899. Kilde HER. Portrætfotografering i Viborg ca. 1900-1950! H. Elmgaard, Viborg. ES. 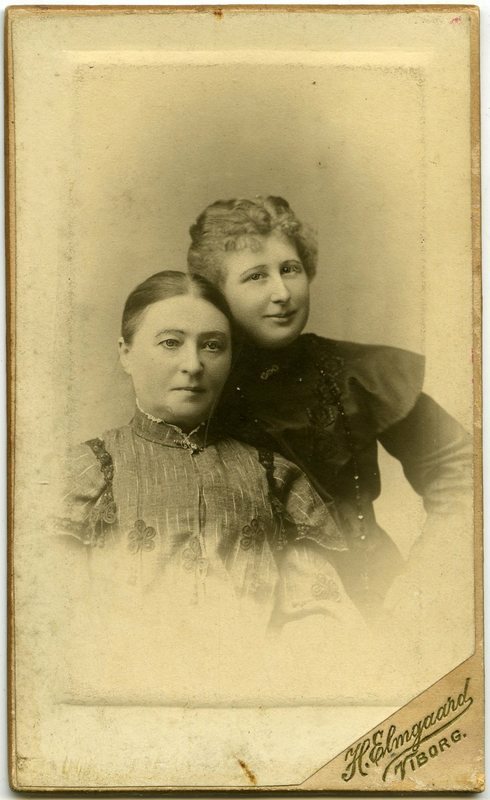 Affoto af ældre fotografi. Hansigne Westh, d. 1934, og hendes mor Marie Westh, Rønne. BØA. Foto Elmgaard, Viborg.